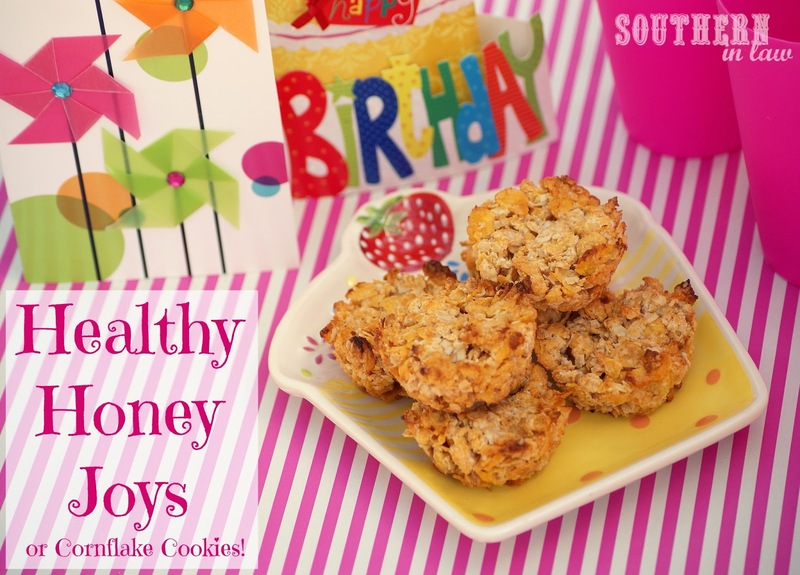 When I was little, birthday parties usually always had the same kind of food - as did bake sales. Honey Joys and Chocolate Crackles were two of the most seen - but whilst I always thought I liked them - I would usually only take a little nibble and decide I hated them (until next time when I repeated the process). Why? Because they were either wayyyyyyy too sweet - or the awful copha they used made my throat tickle. The smell, however, was always a winner. I love Southern In Law and I hope you don't mind me emailing you (Note from me: I love getting emails from you all - so don't hesitate for a second!) but I was wondering if you had a recipe for healthy honey joys? My little girl is about to have her second birthday and I am already planning on making your healthy chocolate cake and mini quinoa quiches (we love them!!) but I always remember eating honey joys as a child at parties and I'd love for my daughter to try them too! She's also a coeliac like you so I know you're the perfect person to ask. One of the reasons I work so hard when developing recipes for Southern In-Law is because I want to help people make memories - and I want them to enjoy Healthy Eating. I cannot possibly describe how my heart sings every time I get a comment or a reader from someone who has fallen in love with our recipes - last week, I had tears in my eyes when Anna emailed me letting me know that finally her little boy was able to eat cake and enjoy it thanks to our Healthy Chocolate Cake recipe as his severe allergies had always stopped him in the past. I love hearing your stories and I love getting your requests - and I know many of you hesitate to send me a comment or an email as I get many emails that say "I hope you don't mind...." "I didn't want to hassle you..." "I'm a long time reader first time commenter" "Sorry if I'm a pain". I want you to know that I absolutely positively love getting your emails and comments - and I read every single one out to Jesse of a night because he gets a kick out of them too! But enough rambling, let's get back to the recipe. You see, Jesse is a honey hater - he won't touch anything with honey in it because he thinks it tastes awful - but the smell wafting from the oven and my "Mmmmmmmmm, yummm"s totally enticed him to give the Healthy Cornflake Cookies a try - and to my surprise, "Mmmmm, yum"s started coming from his mouth and he was telling me I needed to make these often! Even SIL Mama was a fan - and she's fussy. Success! Prepare 6 cupcake cases or a baking tray. Melt your coconut oil and combine with applesauce and honey. Mix your dry ingredients into your coconut oil mixture, mixing until combined. Either divide your mixture amongst cupcake cases (for Honey Joys) or drop the mixture onto a baking sheet for cookies. Bake for 10-15 minutes or until golden and set. The cookies/honey joys will continue to harden when they cool. If once cool, you find they're not hardened enough for you - just place them back into the oven. This recipe is best made and eaten fresh - but if you're having a party, be sure to multiply it so there's enough for everyone! 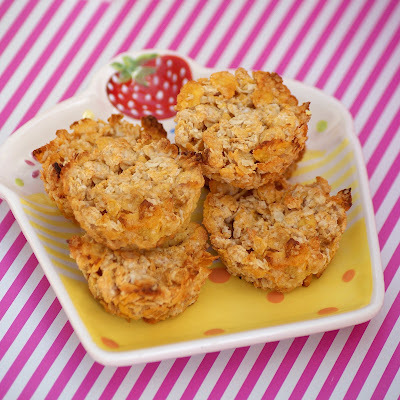 For this recipe I used Woolworths Macro Gluten Free Cornflakes - but we also love Freedom Foods' Cornflakes! But tell me, what party food reminds you of your childhood? Fairy bread is probably my number 1 as it's the only party food I liked! I was the weird kid who didn't like cake (as I hated icing/frosting - weirdo) and never ever touched party pies.